We’re happy to announce that you can now order your tickets for our Spring show! 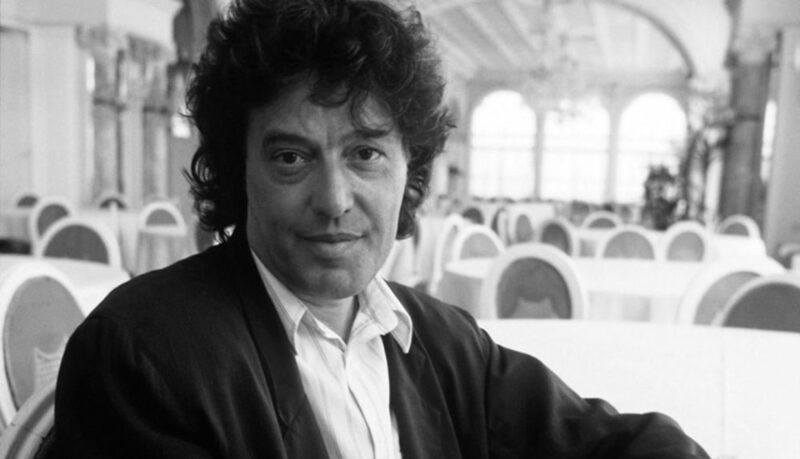 We’re performing two one-act plays by Tom Stoppard, ‘A Separate Peace’ and ‘The Real Inspector Hound’. The show will run from Wednesday 8th May – Saturday 11th May 2019. Tickets are available HERE, or through our third party provider Ticketsource by calling 0333 666 4466*. We hope you all had a relaxing break over the Festive period and thank you to those of you that attended our Christmas production, ‘Worzel Gummidge’. We had a great time and hope you did too. We’ve got some exciting events occuring over the coming months which we want to make you aware of. For our Spring Show we’re performing two one-act plays! Both by Tom Stoppard, ‘The Real Inspector Hound’ and ‘A Separate Peace’ promises to bring lots of laughs and enjoyment for all. Readthroughs will take place next Tuesday 15th January and Auditions will take place the following Friday 18th January, both at Cottenham Village College at 7.30pm. We hope to see some new faces! 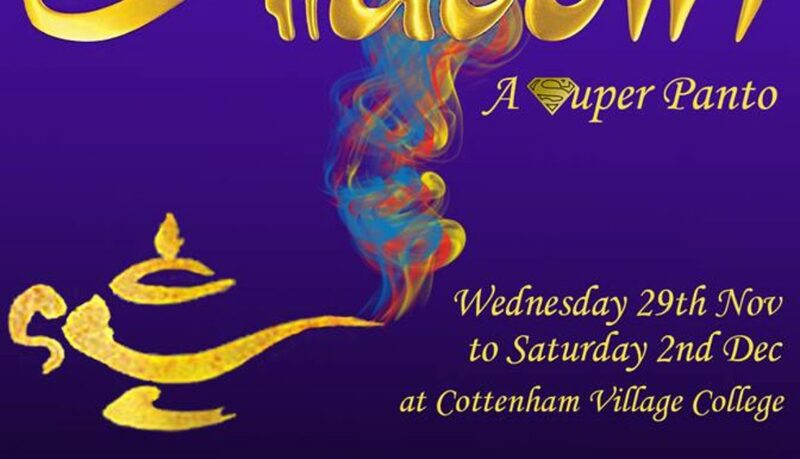 If you wish to join the AGM and are not a member of the current cast/crew or you are interested in Directing this year’s pantomime then please email cottenhamtheatre@gmail.com for directions to the venue and any other questions. 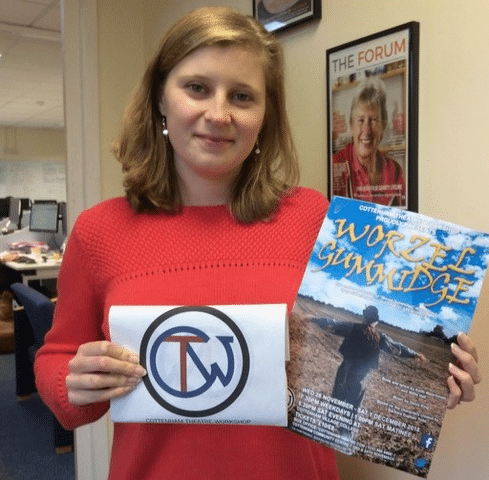 CTW are hosting a Quiz Night! This will take place on Saturday 16th March at Rampton Village Hill from 7.30pm to 9.30pm. We’re welcoming teams of 4 or 5 at a cost of £3 per person and there will be a prize for the winning team! Feel free to bring your own drinks and nibbles to keep you going throughout the evening! If you’re interested in coming along then please click here to register your interest with us. We’re looking forward to what 2019 will hold for us and we hope you are too! Yes you heard us correctly! We’re performing two shows for our Spring production in 2019. Directed by our long-standing member and friend, Kerry O’Connell will once again be taking the reins for another outing as a CTW director. 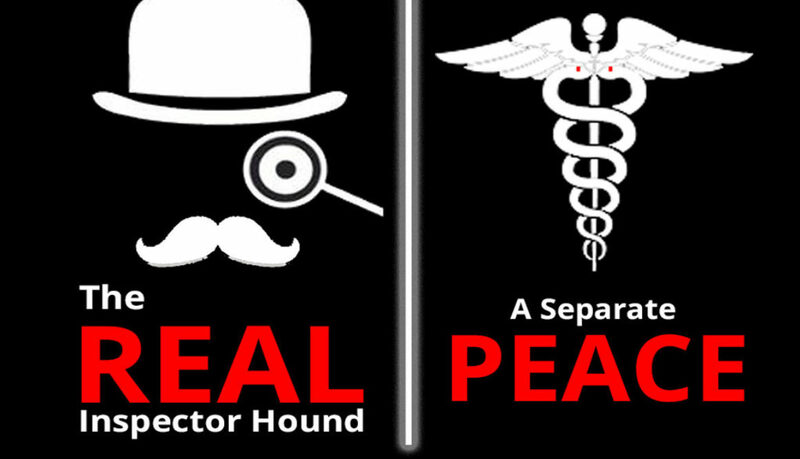 For your pleasure, we will be putting on performances of ‘The Real Inspector Hound’ and ‘A Separate Peace’, both written by Tom Stoppard and both only one act long! 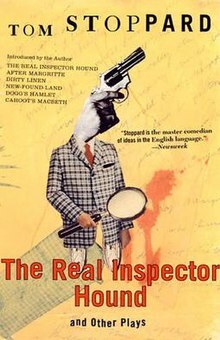 ‘The Real Inspector Hound’ focuses on Moon and Birdboot, two drama critics, arrive to watch the performance of a new detective play, a parody of the conventional stage thriller. However the private lives of the critics become inextricably mixed with those of the play’s characters until Moon is shot dead and the real Inspector Hound proves to be … ? Find out in the show! ‘A Separate Peace’ is a sly, gentle dig at society’s conventions and preconceptions. John Brown arrives at a country nursing home with a case of money expecting hotel-style service but is neither physically or mentally ill. Why is he there and who is he really? Again, come along and find out! If either of these pieces have interested you then come along and find out how to be involved, early in the new year! Read-throughs will be on Tuesday 15th January at 7.30pm and Auditions will be held on Friday 18th January at 7.30pm, both at Cottenham Village College. The performances will take place from Wednesday 8th – Saturday 11th May 2019. We look forward to seeing you there! 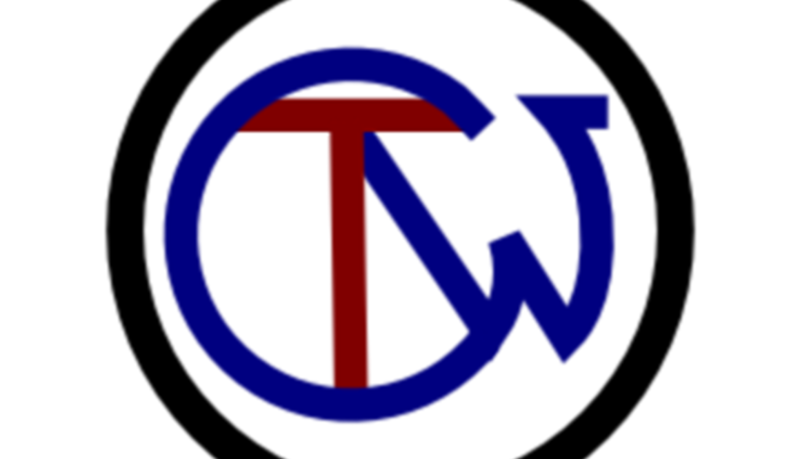 From everyone at CTW, thank you again for your continued patronage this year and have a very Merry Christmas and a Happy New Year! 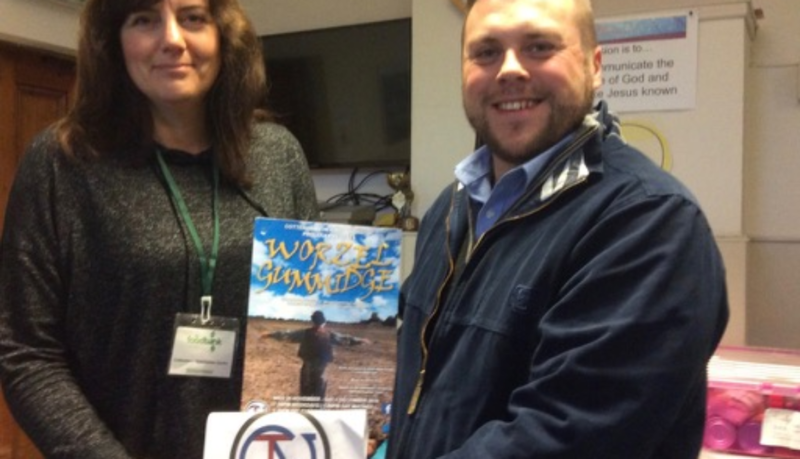 Two important local charities have been generously supported by the audiences at Cottenham Theatre Workshop’s pre-Christmas, musical entertainment Worzel Gummidge. 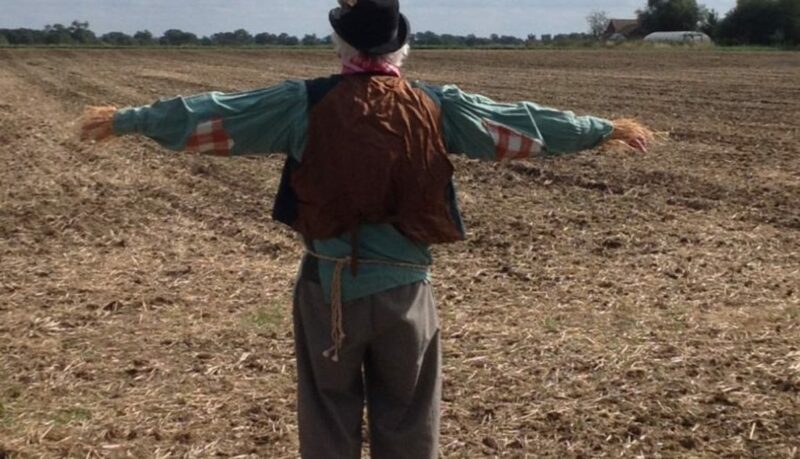 The scarecrow at the heart of the story is homeless (unless you call a field home!) and always hungry. This is what inspired CTW to do something about people caught in either situation. At each of the five performances, a raffle was held to win a Worzel Gummidge annual (they could be considered antiques today as they were published in the early 1980s!) which resulted in an amazing ‘pot’ of £318 which was simply divided into two. 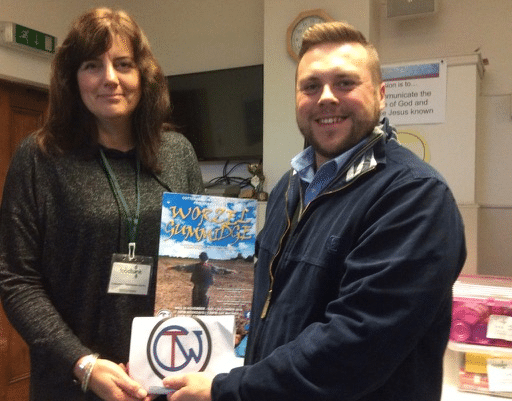 First to benefit was Cottenham Foodbank, which since 2015 has every week provided non-perishable items to people in need who receive vouchers from schools, GPs, Citizens Advice, social care and nurseries. Distribution is done at the Baptist Church in Cottenham High Street on Wednesdays (1.30pm to 3.00pm) and donated foods and everyday necessities come mainly from those who leave contributions at local churches and also at the Co-op. This ecumenical venture really helps benefit those in need. The Cottenham group works through the Ely Foodbank which is under the umbrella of the nationwide Trussell Trust. The second beneficiary was Cambridge Street Aid, a fund to help the homeless and vulnerably housed by awarding grants to those in need of assistance. 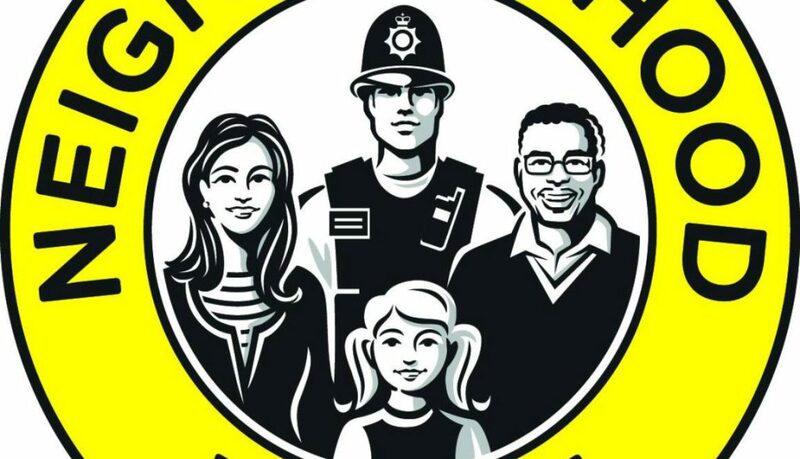 Set up in 2016 and managed by the Cambridgeshire Community Foundation (CCF), the aim is to help people get off, and stay off, the streets. It also gives donors the opportunity to help without handing money directly to those who appear to live nowhere. The strategy is to bring about change and encourage self esteem in those who’ve fallen on hard times. CTW would like to thank all of its patrons who helped contribute over the week to these worthy causes. Anyone for a cup ‘o tea and a slice ‘o cake? Directed by our long-standing friend and collaborator, Gloria Milne, this show promises to have songs, laughs and the usual set of high-jinks, along with a whole host of loveable scarecrows! 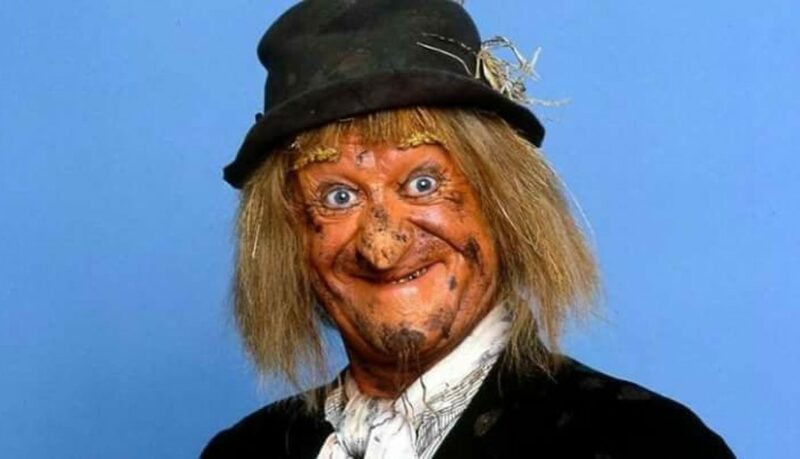 Following the story that was introduced in the 80’s TV show of the same name, this will delight fans of the original and introduce a whole new generation to the characters of Worzel and Aunt Sally. If you’re interested in getting involved, feel free to come along on readthroughs of the script, which will take place in the All Saints’ hall (opposite the church) down Cottenham High Street, on the 5th June at 7.30pm. We’d love to welcome faces, old and new! Auditions will follow on the 8th June in the same place at the same time. You don’t just have to be on stage to be a part of CTW, we’re always looking for new volunteers in our backstage and front of house teams. If you are aged under 16 we need to communicate some additional info to you so please contact cottenhamtheatre@gmail.com for more info before the auditions. For all other enquiries please use the email above also. Also follow us on our social media channels on Facebook and Twitter! We’re really looking forward to getting this production underway and look forward to welcoming as many of you as possible! Come and be part of our Spring Show, Neighbourhood Watch, by Alan Ayckbourn. ​It’s a wry and bitingly funny comedy about a middle-aged brother and sister who set up a Neighbourhood Watch group, only for their seemingly innocent idea to go out of control. There are parts available for men and women with a range of playing ages, and if you don’t want to be involved on-stage but would like to help out back-stage or front of house, making costumes, painting the set or organising props, we’d still love to hear from you.